Denstrow - Bedswerver (Soundcloud) New year, new track...Enjoy! Here is a new track of mine. This time its not psytrance, but its got the vibe :-) It is in a 5/8 rhythm, so the groove feels very different from most other electronic music. Khooman "Upheaval" Darkapuggla rec. Out Now! Khooman "Upheaval" Darkapuggla rec. Coming Soon! 2015 : The experimental year ? Hello people. It is only february, but we already had very exciting things happening in the Goa microcosm. It has never been my cup of tea, but in the golden days, there existed (and you know it) a special kind of Goa, that was either labelled as freeform or experimental. Usually, it consisted in drunken melodies with a thick bassline. But overall, it was crazy psychedelic stuff born to repell the boundaries of psychedelic madness. Example ? https://www.youtube.com/watch?v=m08-lBRAvpA This species died out. Until now ? 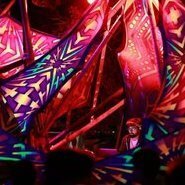 02 February, Fuzzonaut releases Fictionnal Grooves, an EP reviving forgotten flavors of madness. 16 February, Ufomatka releases his debut EP (gloriously entitled : The EP) Earlier today, I had access to the Soundcloud page of a mysterious Norwegian label called SunVillageRecordings. 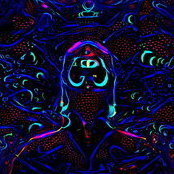 These past few days, it has released very experimental pieces of Goa, including : _two EPs The Nature of Space and Transcended Reality _an album from Hallucinogen (insert joke) entitled The Power of the Mind All this stuff is absolutely psychedelic, and just as in the past golden days, it's pure Goa that borderlines Psytrance. Now, there is an upcoming compilation by NeoGoa that is called The World Beyond and that has been described as a "dark, twisted and very experimental compilation" including 4 tracks of unusual length. I am just poiting out what seems to be a new trend in the Goa world for the next few months. EDIT : By the way, it really do seems that Hallucinogen 2015 isn't Simon Posford. Link to the related section. EDIT 2 : Confirmed 300%. However, the fake Hallucinogen seems to be part of that experimental trend as well, so I won't remove it from this post. Be it a genuine artist or not, the style of the music isn't trivial and takes place in a certain context.